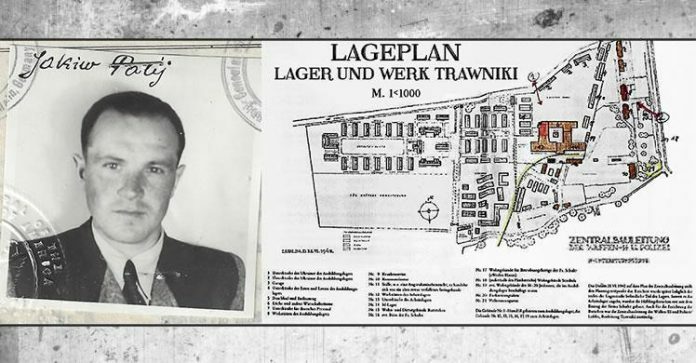 Leading U.S. government officials have paid tribute to a multi-departmental effort and strong cooperation with the German government that resulted in the deportation of a former Nazi concentration camp guard from the United States on Tuesday. In an on-the-record call hosted by the White House on Tuesday, five officials offered further details of the renewed effort by the Trump administration to secure the deportation of Jakiw Palij — a Ukrainian-born armed guard at the notorious Trawnicki labor camp — 12 years after a U.S. court stripped him of American citizenship for his participation in Nazi-directed atrocities against Jews. Germany, Poland and Ukraine refused to accept Palij, who is now 95, after the 2003 deportation was issued, allowing him to remain at his home in Queens, New York — until federal agents carried him out on a stretcher and placed him on board a plane to Germany early on Tuesday morning. Grenell specifically thanked both Germany’s foreign minister, Heiko Maas, and interior minister, Horst Seehoffer, for their efforts. The two ministers had brought “a new and different energy to this issue,” the U.S. ambassador said. 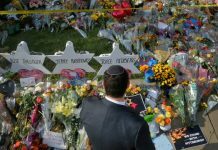 Justice Department official Eli Rosenbaum, who has spent more than three decades pursuing Nazi fugitives from justice, meanwhile issued a reminder of the crimes against Jews in which Pawlij participated. “On November 3, 1943, in a daylong killing spree of unfathomable ruthlessness and horror, an estimated 6,000 human beings of Jewish faith or descent — men and women and children — were systematically shot to death at the Trawniki forced labor camp in Nazi-occupied Poland by German SS and police personnel,” Rosenbaum said.